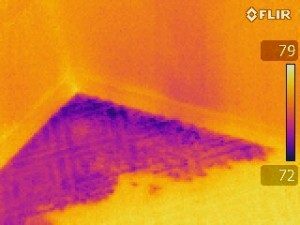 By utilizing state of the art thermal imaging cameras, we can view your home in the Infra Red spectrum to enhance the inspection and do a more thorough Inspection. 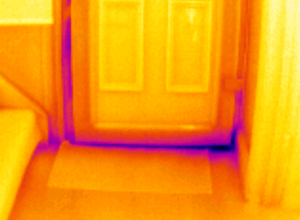 Moisture Intrusion around an exterior door. Water damage in wall cavity and carpet from a shower pan leak in adjoining bath.